A number of Offaly properties are set to go under the virtual hammer of the BidX1 online auction house on October 12. Included in their October auction is a semi-detached four-bedroom house in The Willows at Clonminch in Tullamore. The house, pictured at the top of this article, comes with a reserve of €200,000. 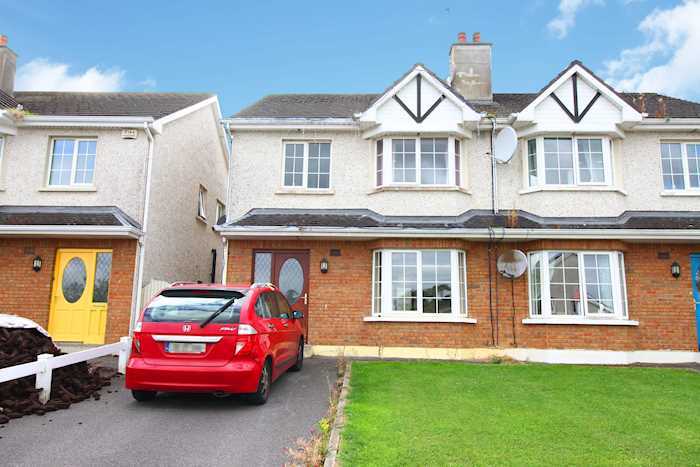 Also included is a three-bedroom house in Birr, a mid-terrace three bedroom house (subject to tenancy) in Clara, a similar property in Daingean, as well as three-bedroom property at Westwood Grove in Clara. The latter carries a reserve of €130,000. You can see all the Offaly properties being auctioned by BidX1 in October by clicking here.